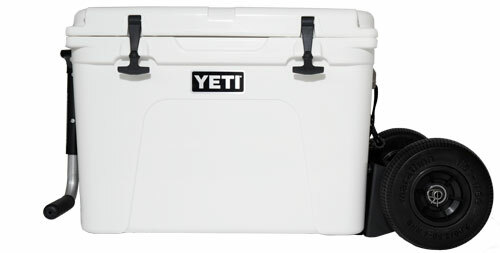 Yeti Packages w/ FREE GIFTS! 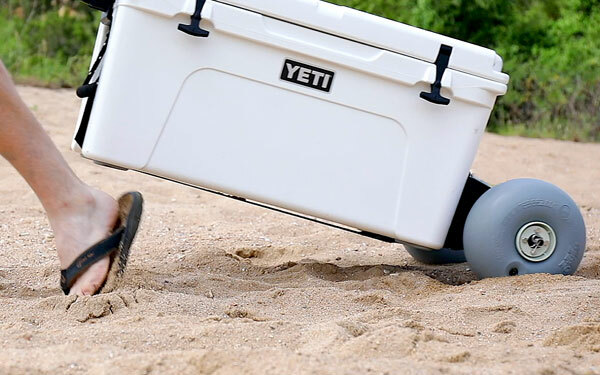 Finally, after years of research and development (seriously), we are proud to offer a wheel system worthy of a YETI Cooler and those that own them. 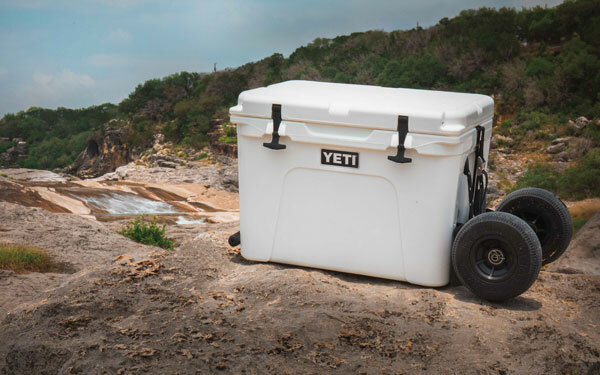 With a patented design, The Rambler YETI Wheels are all about ease of use with quick set up and take down using the integrated tie-down slots on YETI Tundra Coolers. 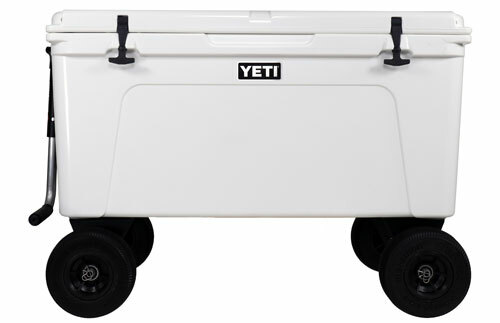 WHAT RAMBLER WHEELS DOES YOUR YETI NEED? 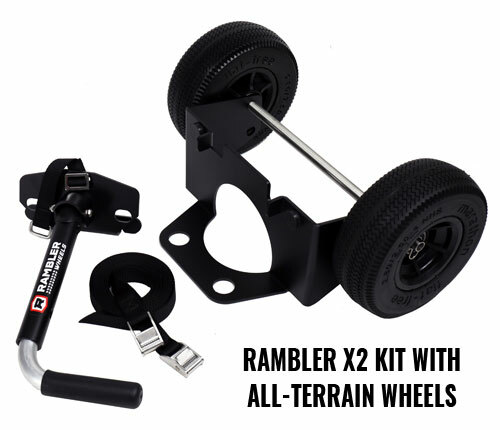 Rambler Wheels fit the YETI Tundra 35 through 160 and won’t disappoint. 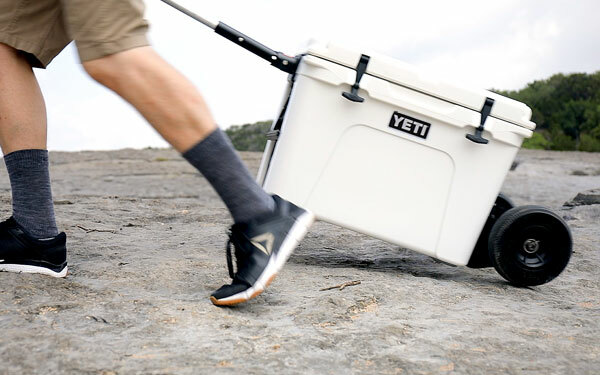 YETI Coolers are tough, but The Rambler YETI Wheels are tougher. 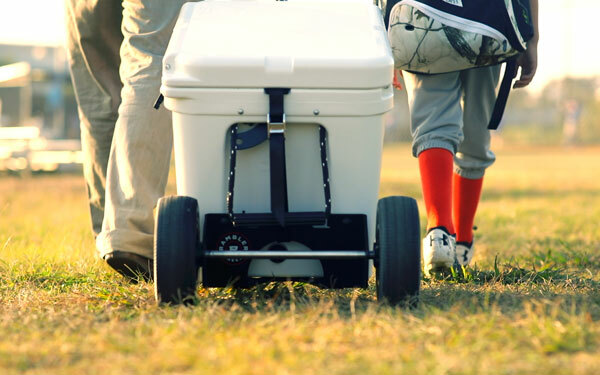 And when the rubber hits the road, they have to be. The 8” Marathon wheels are flat free, maintenance free, and worry free. 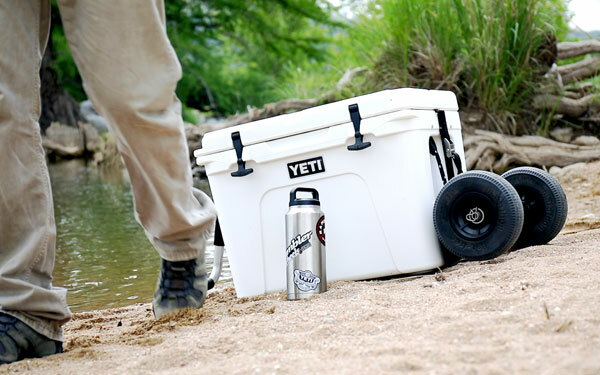 The rugged 3/16” aluminum plating is shaped into form fitting brackets that snuggly fit to your YETI like your thumb in a bass’ mouth. Its just meant to be there. 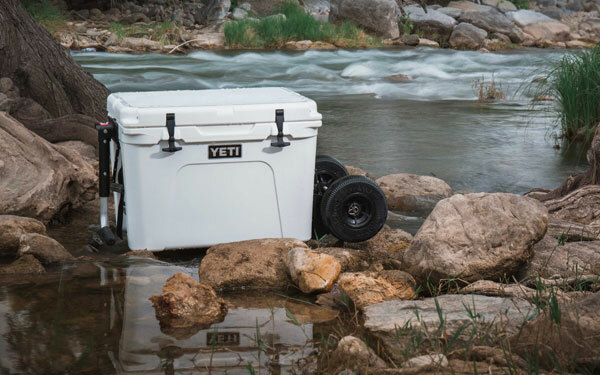 Rugged Good Looks – No Extra Charge! Ready to Roll on with Rambler Wheels?